Nicholas Allbrook is a man of many monikers – POND front-man, former-Tame Impala bass player, one half of Allbrook/Avery and Peter Bibbydrummer. The new single ‘Advance’, out March 11th on Spinning Top Music, is the first taste from his forthcoming second LP. 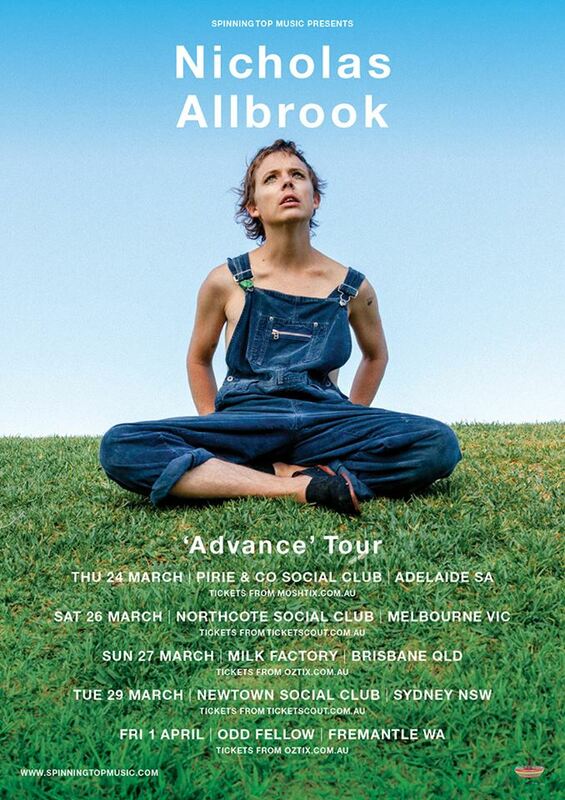 Allbrook will be heading out on a national headline tour in support of the single this March. First stop Adelaide before Good Friday in a special edition of YEWTHPresents at Pirie & Co. Social Club. Tickets on sale now and selling fast!